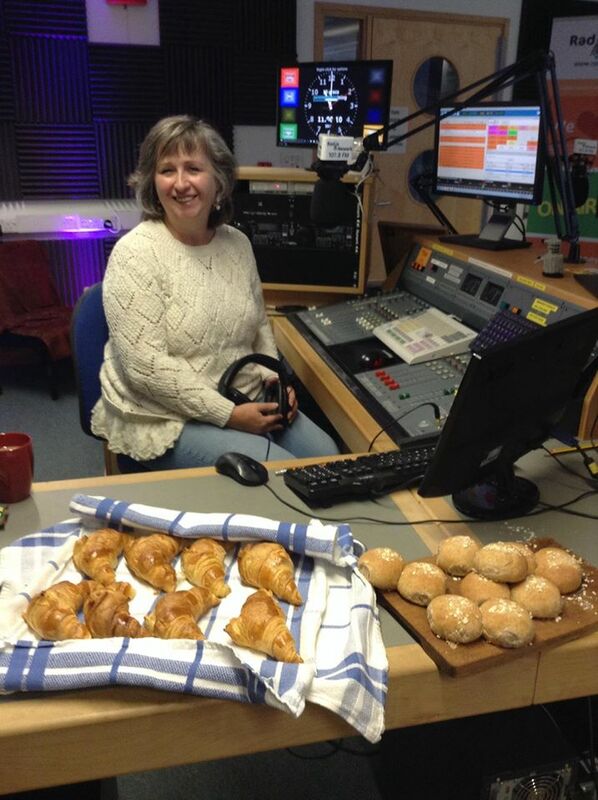 If you were listening earlier, you’ll have heard June, Tina and Sue waxing lyrical about the croissants and morning rolls brought into the studio by today’s guest Gail Hooley. Definitely a batch made in heaven – the smile on Sue’s face here says it all! Between mouthfuls of buttery, flaky croissants and tasty little rolls, the Girls Around Town managed to find time to chat to Gail about her work as an artisan bread maker and the community group she runs at the Ecocentre in Screveton. They were even given a quick masterclass in the right way to knead – no more aching arms and backs, it’s all in the way you position your feet!! If you fancy finding out how to make your own clean bread in a convivial and social environment, Gail’s group meets every other Thursday and places are £5 per session. 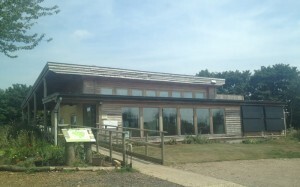 It’s just one of a whole range of events and activities taking place at the Ecocentre, an amazing building of straw bale, rammed earth construction with a sedum roof which sits on a working farm close to Newark. Grow, Cook, Eat on Friday 30 October at 7pm – Chef Robert Reid will be in the kitchen demonstrating how to make the most of local seasonal produce, without it costing the earth. Tickets are £12.50 each, to include cookery demo, food and a glass of wine. Or why not just drop in between 9am and 1pm any Saturday and enjoy a full English breakfast with their own farm-reared sausages, for just £5? Like Gail’s croissants and rolls, breakfast at the Ecocentre’s Saturday Kitchen Café comes highly recommended – just ask Tina!! For details of all events and activities at the centre, visit the website, email office@farmeco.co.uk or call 01949 21261.